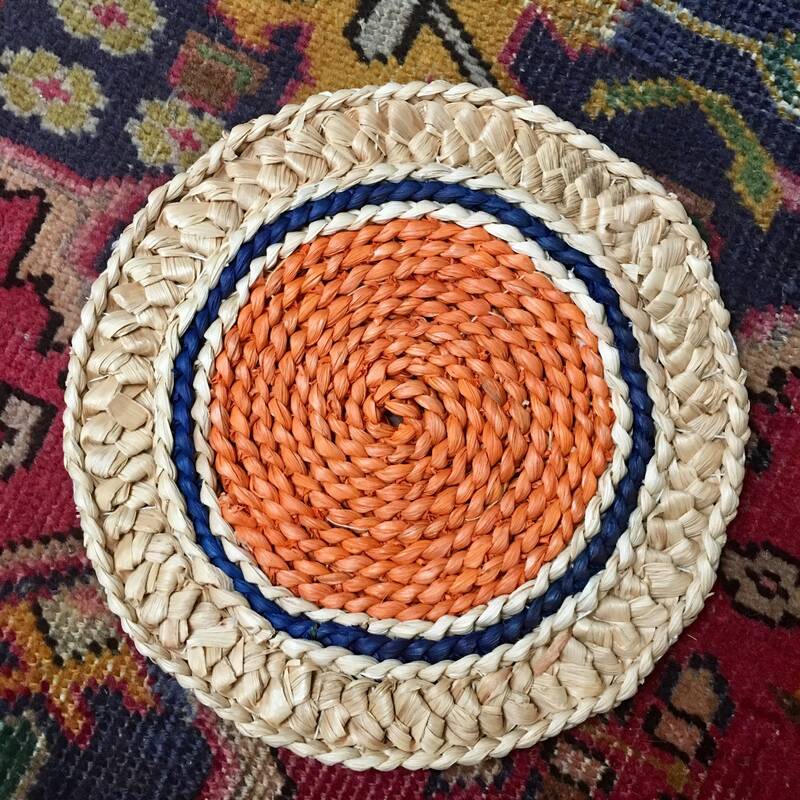 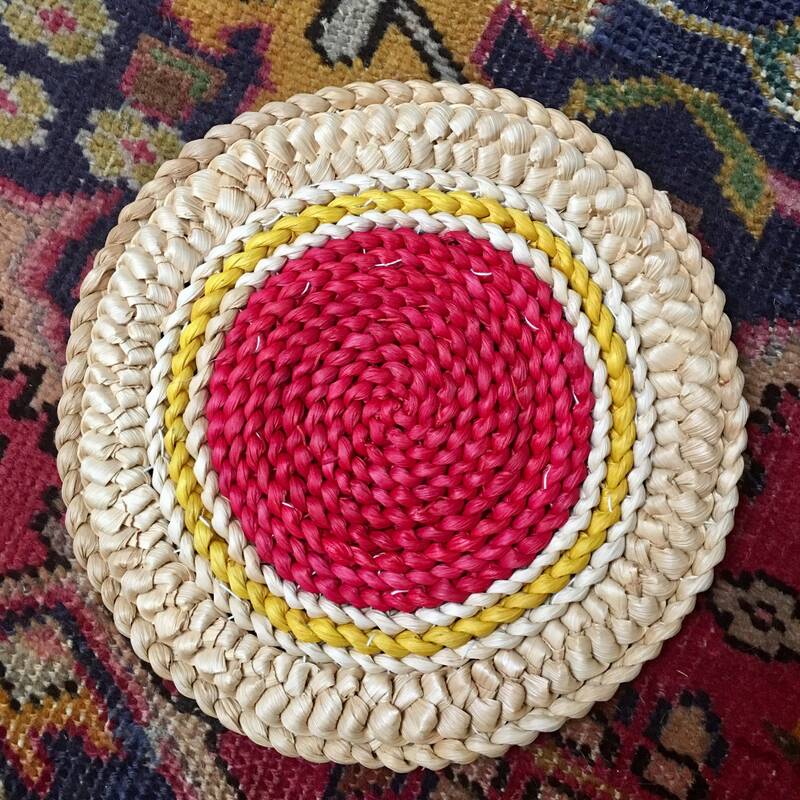 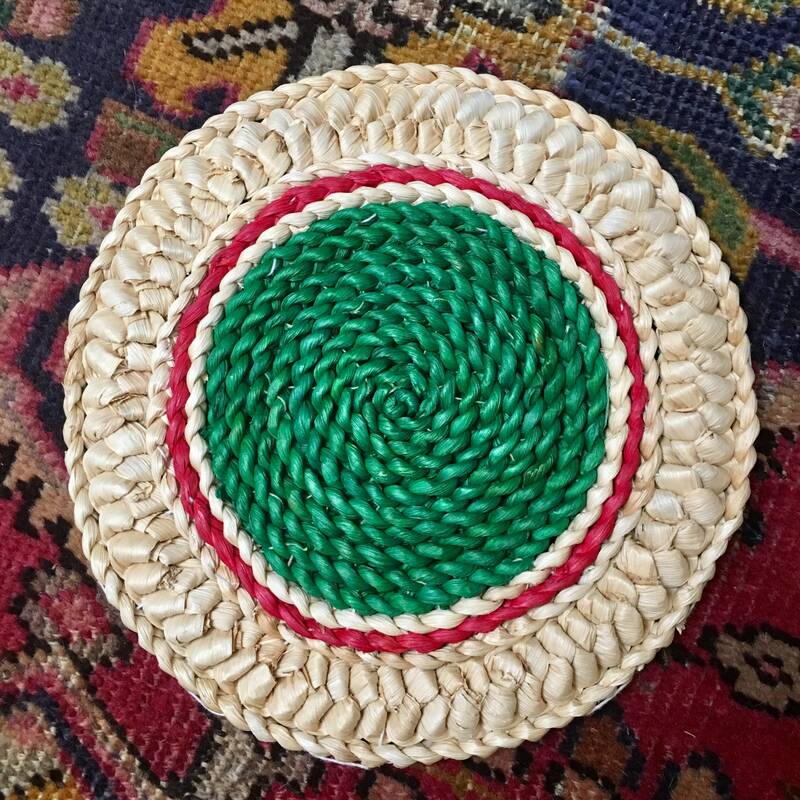 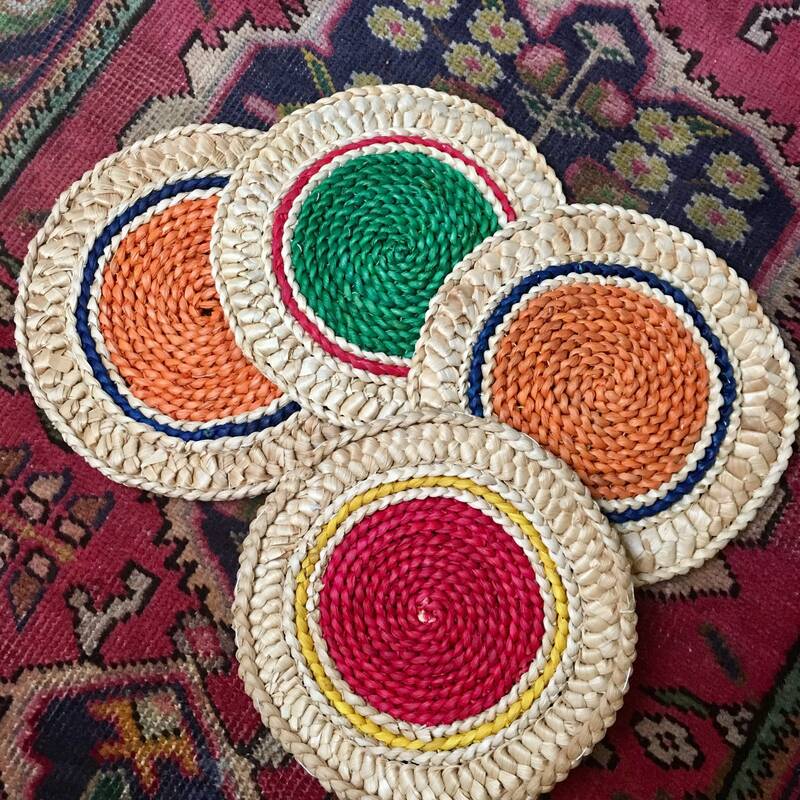 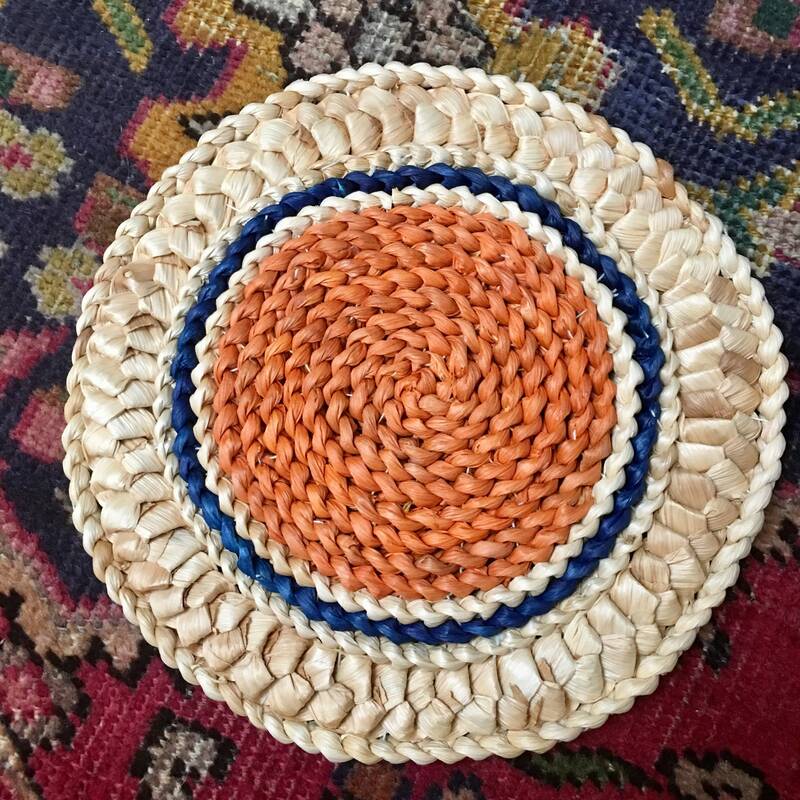 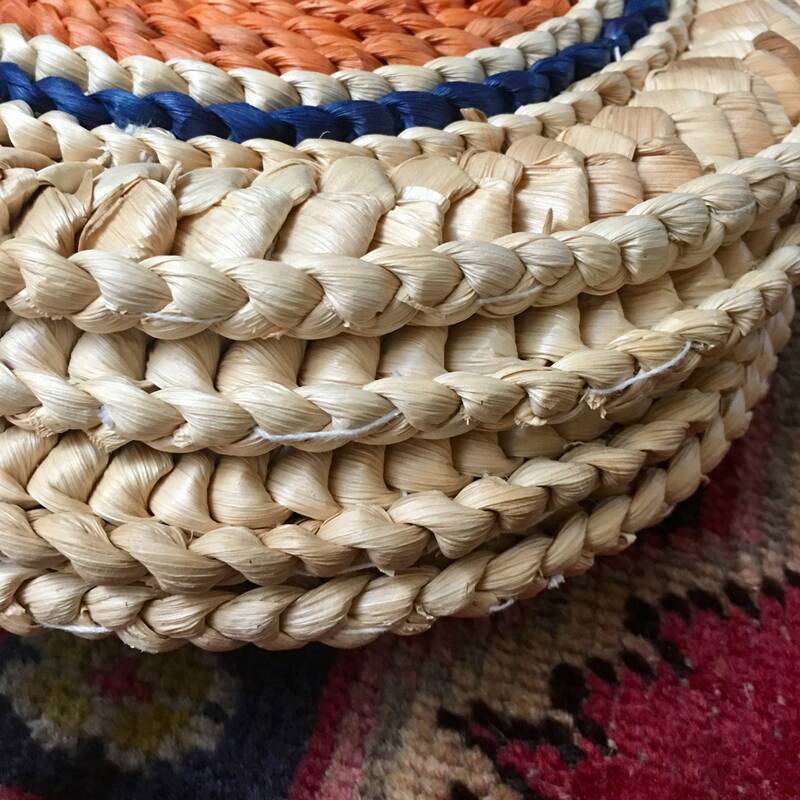 Vintage set of 4 natural woven trivets in excellent condition. 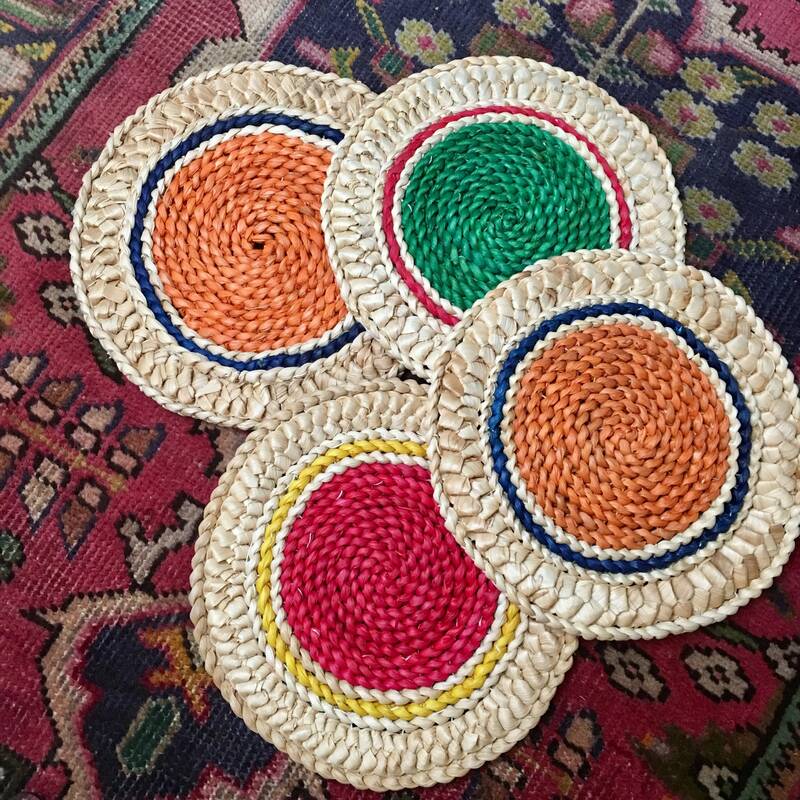 The set includes 2 orange with navy accent, 1 green with pink accent and 1 pink/red with yellow accent. 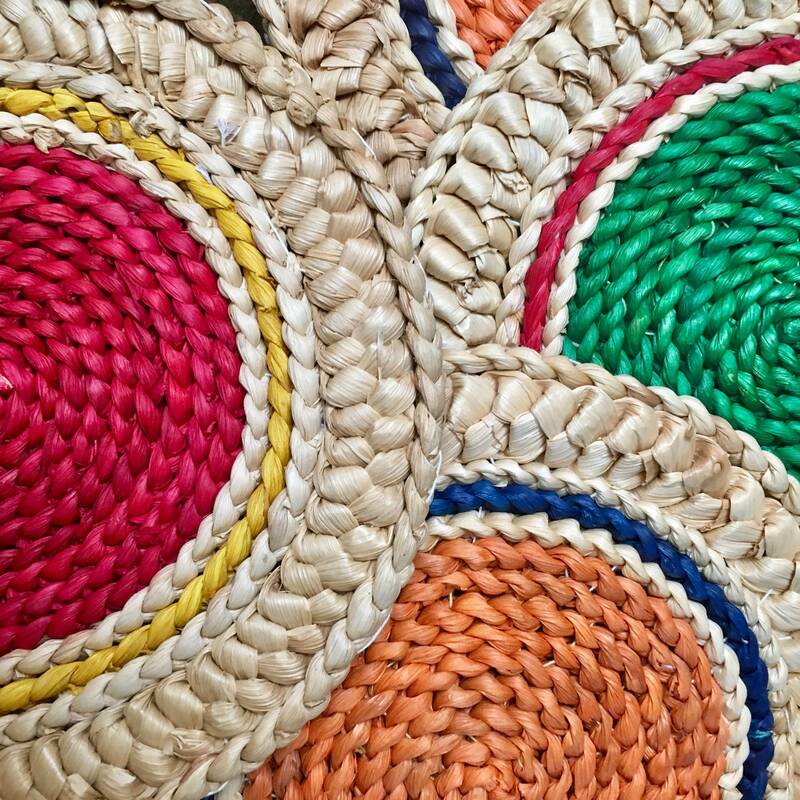 Perfect pop of color for everyday and for use during a fiesta! + Total weight is 15.3 oz.